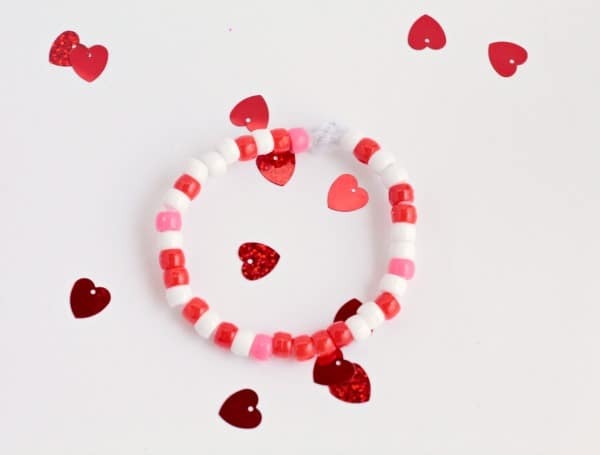 If you want to help your kids learn to code, this simple Valentine’s Day coding bracelets challenge is a fun way to make coding come alive! My fifth grader loves all things coding. She is obsessed with Scratch and last summer, she attended a coding camp. 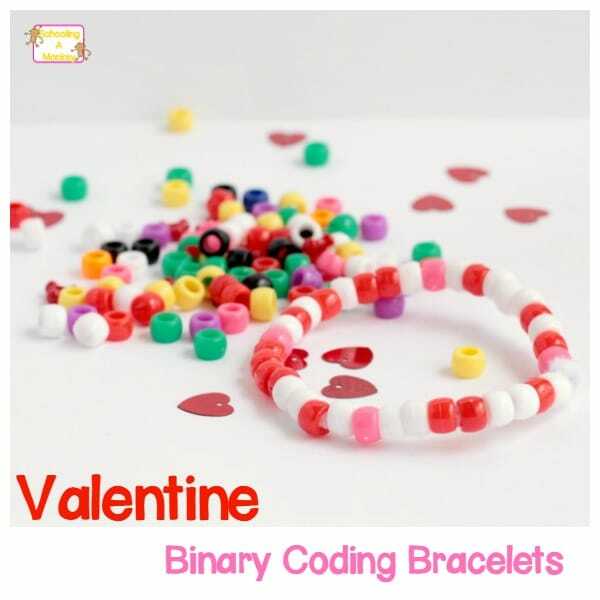 For this Valentine’s Day STEM activity, I thought it would be fun to use some of the basics of coding to make these binary coding bracelets with Valentine’s Day sayings. 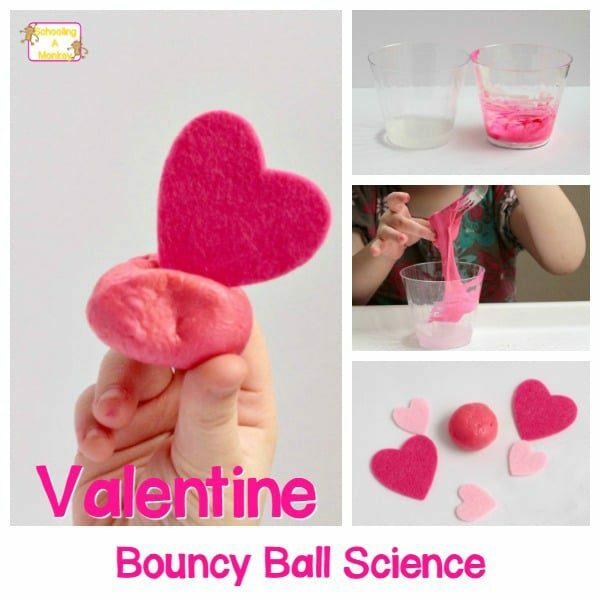 The kids had a blast making these! 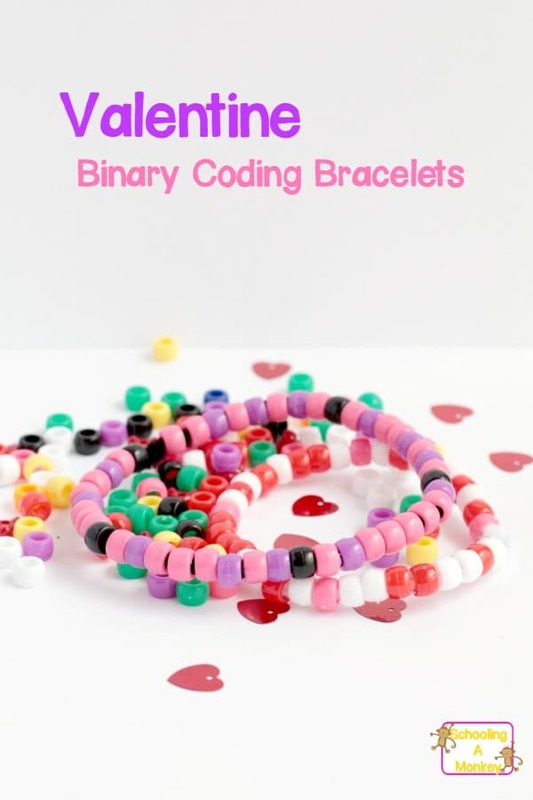 This simple coding bracelets activity helps kids learn binary and the basics of coding all in one! We used one chenille stem for each bracelet, but if you make longer statements, you will need more stems and they will become necklaces rather than bracelets. 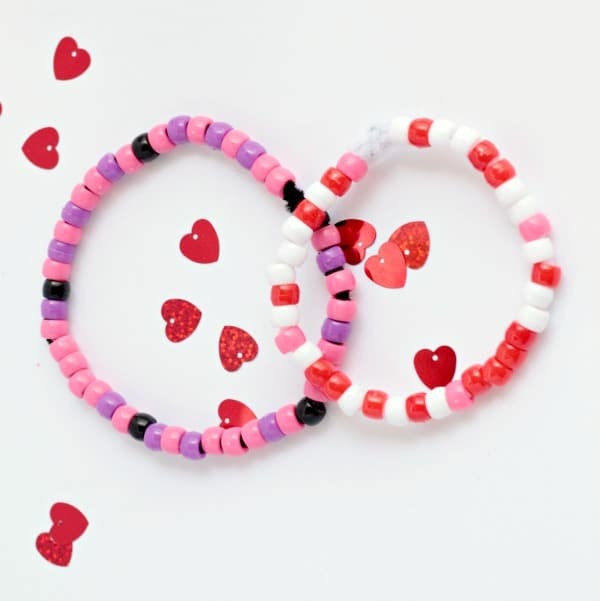 You can also use smaller beads to get a longer saying on each bracelet. We made the words “Heart” and “LOVE” on our bracelets. We used one color of pony beads to represent the zeros, one color to represent the ones, and one color to represent the space between letters. One tip when making these is to twist the end of the chenille stem around the first bead so that the string of beads stays in place. Otherwise, if you bump it, the whole pattern is lost! Wrapping the bead prevents catastrophe. 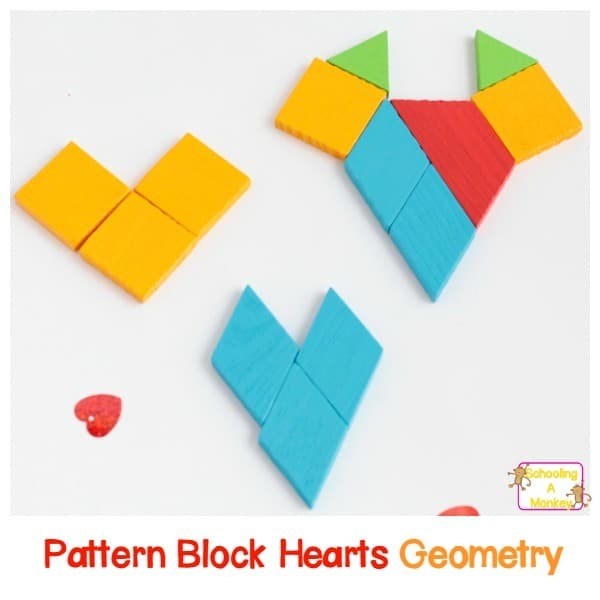 We had tons of fun making these, and the kids really enjoyed making them! 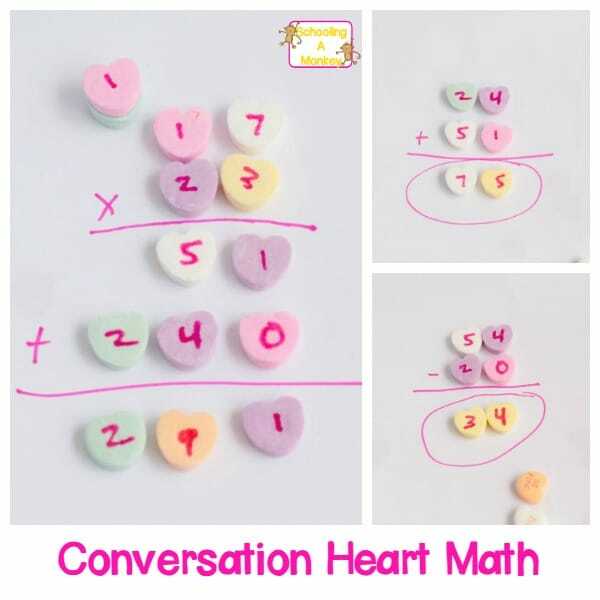 Math: Kids must keep track of patterns, counting, and learn about the binary language. 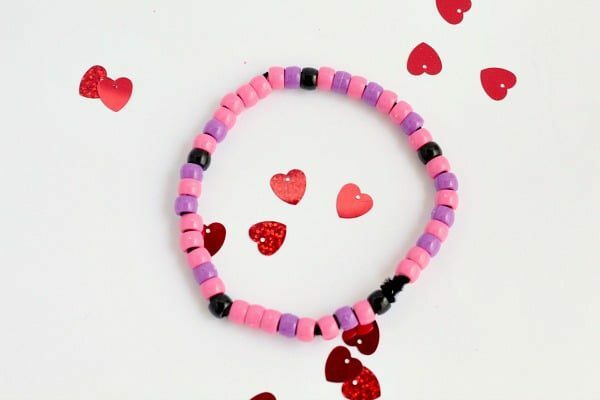 Engineering: Kids can design their bracelets in a variety of ways. Technology: Kids learn the basics of coding binary. 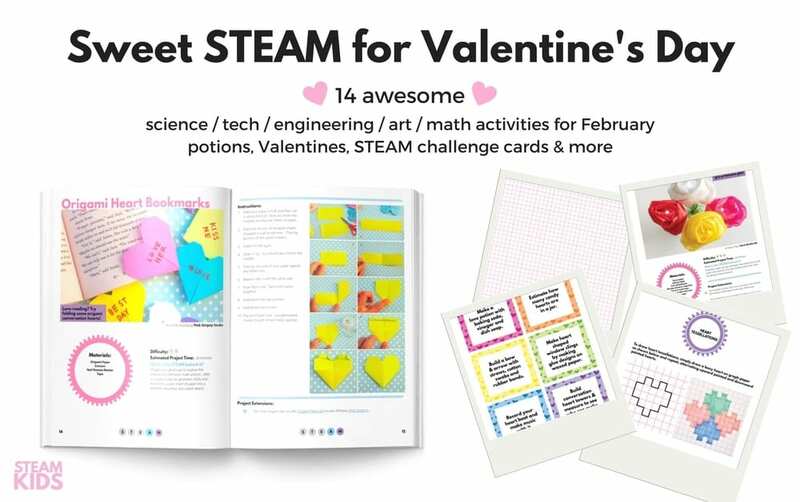 See what other Valentine’s phrases kids can make using binary letters! « Ice Science Experiment: Can You Get Ice to Burn?